Every single year, I know that everything happens in September and yet I get distracted by my birthday (which was on Monday) and then the fall TV, NYFW and film festival onslaught takes me by surprise. Every single year. There was also the Twin Peaks finale — thanks for that birthday gift, David Lynch — and I am still thinking about that. The whole new year aspect is something I have discussed on numerous occasions and this time of year is both super exciting and incredibly overwhelming. Case in point; this week’s “Out of the Box” and it is one of our longest yet. Plus be sure to check out this extended Maggie Gyllenhall rundown as she promotes her new show, The Deuce. At the Venice Film Festival, Kirsten Dunst delivers whimsy in Rodarte polka dot ruffles — a look that is similar to her recent Nylon cover — at the premiere of Woodshock. Woodshock is directed by Kate and Laura Mulleavy of Rodarte, so it isn’t a surprise to see Dunst repping this brand. Dunst has long been wearing Rodarte and despite the reviews, I am still looking forward to seeing this film. This is a little wacky from Priyanka Chopra in hot pink Fendi at the Pahuna: The Little Visitors premiere at TIFF, but so much fun. And an occasion where matching bold lipstick with a bold outfit could be a little much, but black ankle boots take the saccharine edge off. 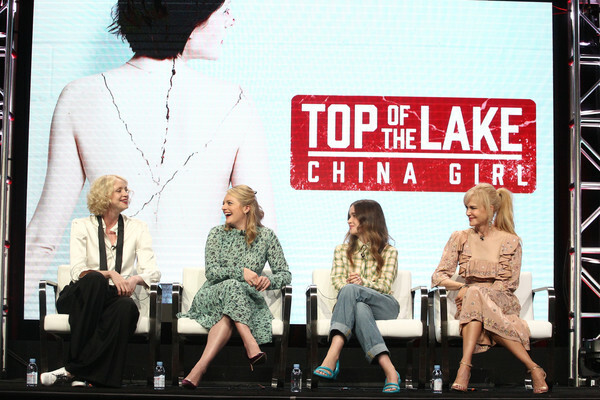 From Venice to Canada and now France; film festival season is in full swing and where can I get my own white picket fence with Laura Dern’s name on it? At the 43rd Deauville American Film Festival, Laura Dern gets a dedicated beach locker room on the Promenade des Planches and she’s wearing the perfect Gabriela Hearst Resort ’18 summer dress for the occasion. Between Big Little Lies and Twin Peaks this has been a huge year for Dern on TV and I am already very excited to request a Diane manicure. Also, I now desperately want to have a Laura Dern themed costume party. Actually, make that a Laura Dern and Jeff Goldblum themed party. At this same event in France, Goldblum gives great polka dot button-down and the silver fox swoon levels are high. What better time to launch a fashion collaboration in New York than NYFW and Gabrielle Union looks stunning in this yellow dress from her New York & Company Collection. Plus these outfits will not break the bank; a NYFW rarity. Leather pants and a floral frock should not work and I’m not sure there are many that could pull of this look. 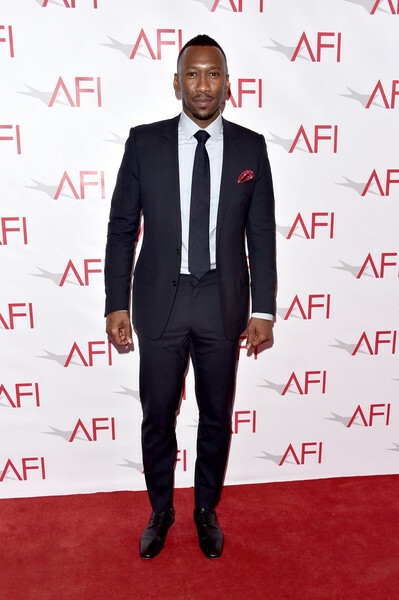 And yet, Tracee Ellis Ross is doing just that in Ronald van der Kemp. That backdrop at Pat McGrath’s NYFW Mothership Ball is also divine and ups the drama levels. The ’90s are alive and well at Tom Ford — we truly didn’t know how lucky we were as Gretchen said post “Zombie” sing-along in the new You’re the Worst. TV Ate My Wardrobe fave, Julia Garner goes simple in black at this runway show and she is also in the new TV themed issue of Glamour, which is worth picking up. 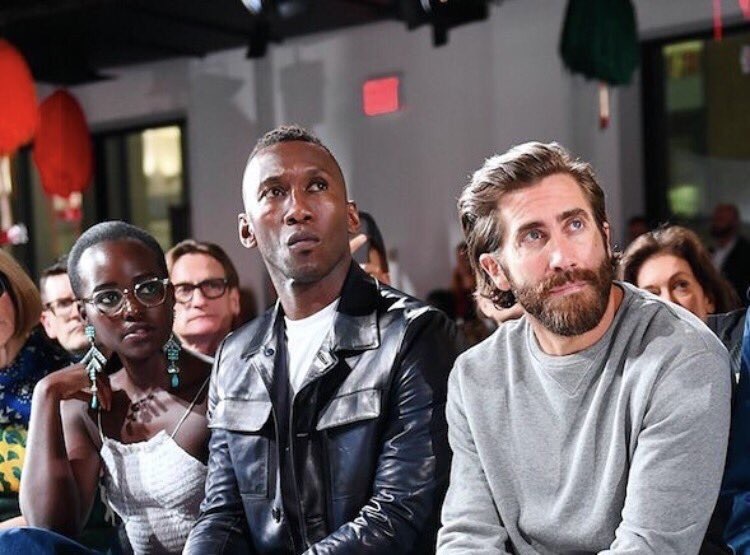 Important NYFW runway show update and there are no words to describe my levels of swoon. Calvin Klein drawing the flamiest of flame emoji attendants. Former model and Outlander star Caitriona Balfe looks elegant in fancy office attire at the Noon by Noor (in Noon by Noor) NYFW show. Ladysuit alert! And I have been obsessed with getting a velvet number for the last year. Caitriona Balfe in Max Mara at an Outlander screening — back Sunday, September 10 — is only adding to this obsession. I’m not wild about the black bralette, but she does look amazing and this works better than Maggie Gyllenhaal’s matching crop top number. At the GQ Men of the Year awards — British GQ always holds them at this time of year — Anna Friel goes ’70s inspired in a sparkly striped Dhela. Important Pushing Daisies content. Yes, I screamed with joy when I saw Anna Friel’s Insta Story this morning. It has been noted that a lot of the October covers we have seen so far are visually more striking than the September offerings and I recall the same thing happened last year. 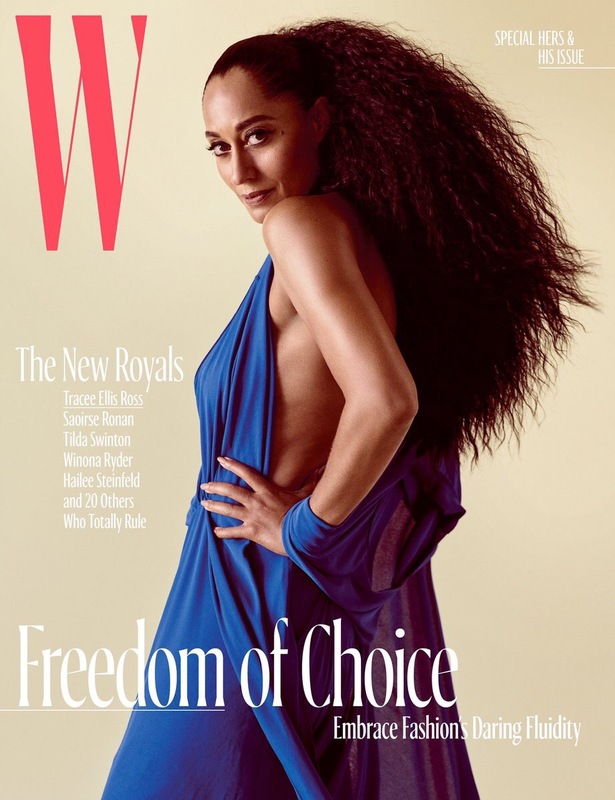 There is less pressure for a big statement look and W’s new series of covers includes this Tracee Ellis Ross stunner (her second appearance this week). The color of that dress, the way she is looking directly at us and that powerful pose is all very mesmerizing. Saoirse Ronan also feels like she is gazing directly into my soul and the new trailer for Lady Bird also has me all a fluster this week. Frances Ha is one of my favorite films and everything about Greta Gerwig’s new film is ticking all the boxes. I cannot wait. Stranger Things returns next month so expect to see this cast everywhere — I’m gonna start a season 1 rewatch tonight — and Winona Ryder for W is making me covet a leather beret. Another incredible shot from the October issue, which is gonna look great on my coffee table. 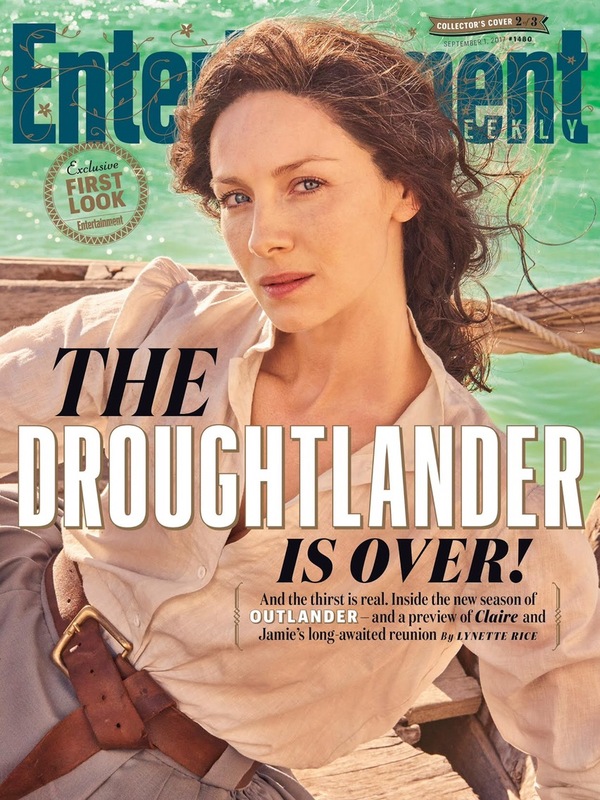 Well, as long as I can get one of the covers I want (and not the Jared one). Also in fabulous October cover news; Zoë Kravitz for British Vogue. This is the most excited I’ve been for this edition of Vogue and a fantastic sign that new EiC, Edward Enninful is going to deliver. Love this very fun polka dot number that Kravitz posted to Instagram and this is another magazine I’ll be picking up (even though I still have to read last month’s). 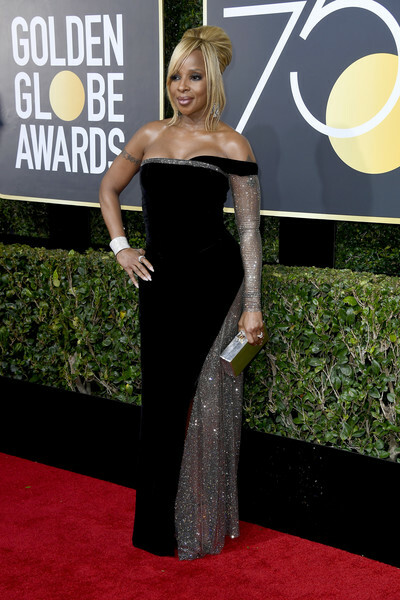 Welcome to the TV Ate My Wardrobe coverage of the Golden Globes red carpet; there will be three posts covering the best looks of the night in which a whole lot of my favorite trends took center stage. 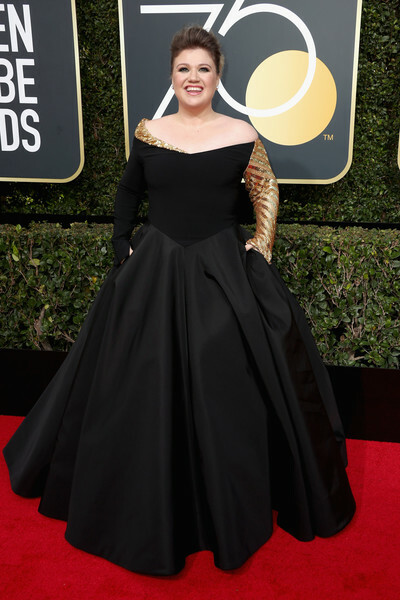 “I’ve been to the Globes six times. I’ve worn a dress every time. And I love dresses, I’m not trying to protest dress. But I want to make sure that young girls and women know they aren’t a requirement and that you don’t have to wear one if you don’t want to. To just be yourself because your worth is more than that.” Also going for a ladysuit is Kathryn Hahn and if I could just put a flames emoji here then I would because this is smoking hot. From one of my favorite red carpet trends to another and Mandy Moore’s going full caped and plunging drama in Naeem Khan. 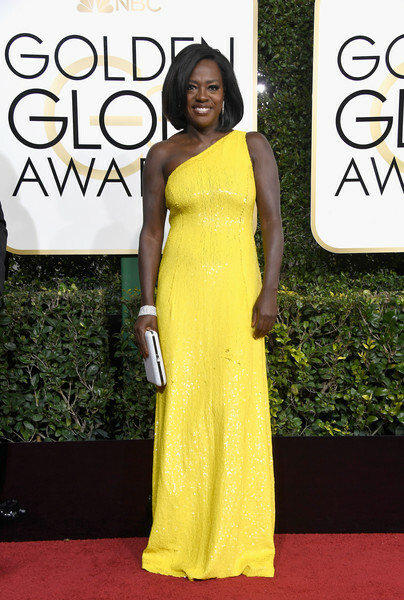 This post could pretty much be an updated rendition of “My Favorite Things” and Viola Davis once again crushed both the dress and speech (twice!) game. 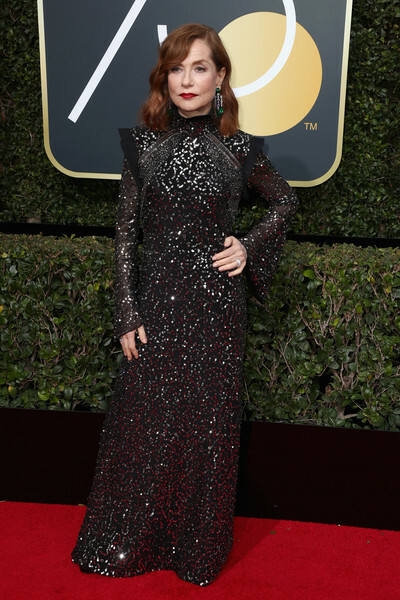 Going classic crimson siren in Rodarte and last year’s Best Actress winner Brie Larson also has the red lipstick of my dreams. Now for something different and Caitriona Balfe once again shows that she looks stunning in every kind of frock including this difficult to pull off navy and orange Delpozo. 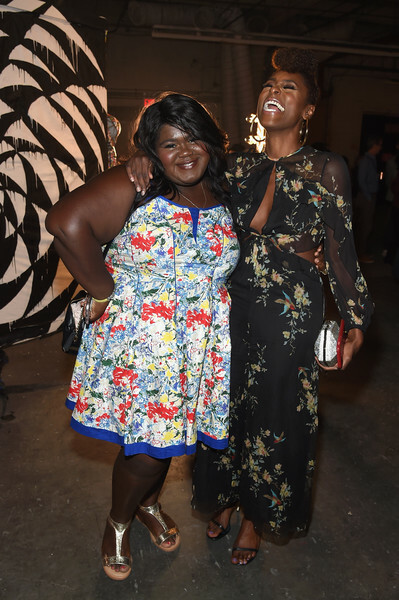 Award season when Michelle Williams is nominated gives us a window into TV Ate My Wardrobe’s fave IRL besties and the Golden Globes/Busy Philipps’ Instagram did not disappoint. Dress wise and I am so here for everything about Busy’s Stella McCartney florals. Less so with Michelle Williams in Louis Vuitton and I would get rid of the ribbon choker (the one major ’90s fashion trend that needs to go away) and cut off the sleeves. Oh, hello. Diego Luna and Gael García Bernal’s friendship is one for the ages and for the swoons. 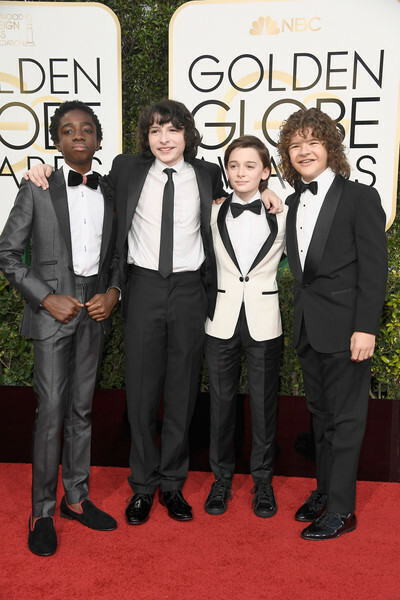 Stranger Things kids keep on with their dressing better than a lot of their adult counterparts aka the Jacob Tremblay award. They haven’t shared the Game of Thrones screen since season 1, but Maisie Williams and Sophie Turner thankfully have all this red carpet time together so we can see just how important they are. Including adjusting Maisie’s amazing yellow Ong Oaj Pairam frock and hiding most of Sophie’s sheer nightmare. 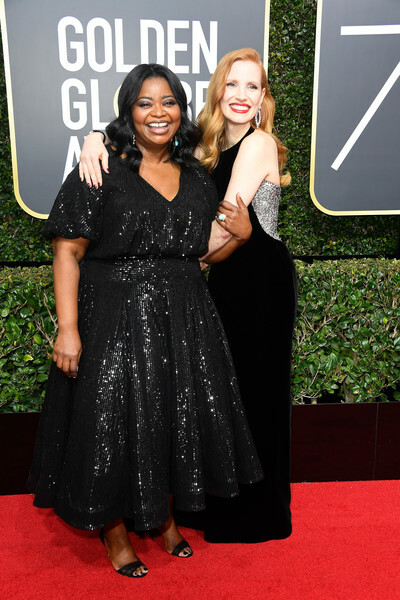 Stay tuned for more from the Golden Globes! Awards season has really cranked up a notch and this week we have plenty of frock action for you from the Glamour Women of the Year, The London Evening Standard Theatre Awards, AFI Fest and an Academy event. Plus bonus magazine covers at the end. So many awards/shindigs geared toward campaigning and this one of the biggest “Out of the Box” columns from the last four years. It also doubles as a list of movies I am excited about seeing. Pattern and bold color are strong throughout, much to my delight. 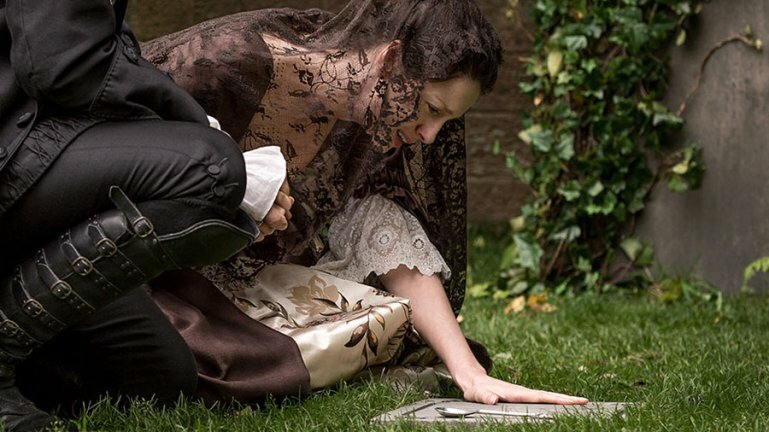 Caitriona Balfe looks stunning in a black and white Burberry gown at the London Evening Standard Theatre Award and it really pops in front of the foliage backdrop. Balfe as we have seen on Outlander suits a whole plethora of styles and this one is giving off some 1920s vibes. Great lipstick color too. The Affair returns for season 3 on Sunday for more memory mashing misery and I am looking forward to see where it will go now that the two season long mystery has been revealed. Last week Ruth Wilson rocked a ladysuit for Interview and now it is floral Erdem at the Theatre Awards. I’m not a huge fan of the shoulder cut out trend that seems to be everywhere at the moment, but with this halter neck aspect it works like a charm on Wilson. Also lipstick highs. Ophelia Lovibond gets a whole lot of stripes in Emilia Wickstead and Dominic Cooper later had fun with this whole mass of dress. Another super bold lip color and I am all for this trend for award season/everyday life. Yara Shahidi makes two appearances this week on “Out of the Box.” First at the Glamour Women of the Year celebration she crushed it in a pattern clashing dream from Cynthia Rowley and Shahidi is very much in the realm of everything she wears turns to gold; a Magical Fashion Unicorn. Olympic gold medal superstar Simone Biles looks incredible in this block blue and black number. Biles was honored at the event for her sensational achievements over the summer. 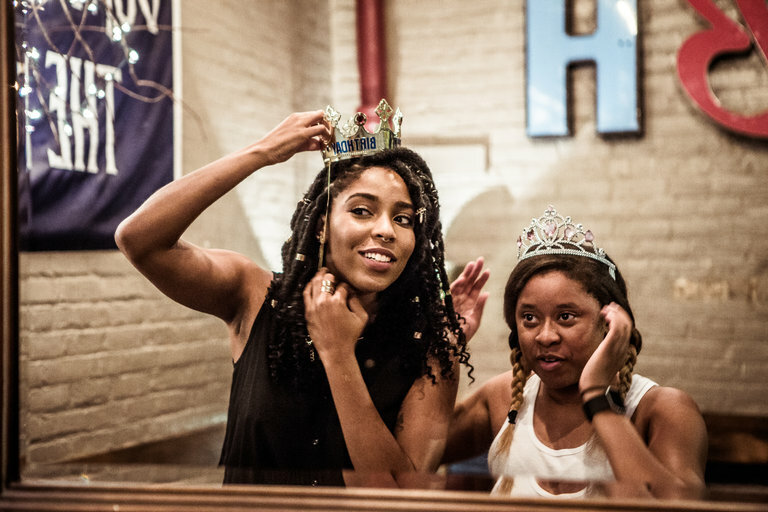 Insecure is one of my favorite new shows and Issa Rae gives off great style onscreen and IRL. Here she is at the Glamour Women of the Year 2016 Live Summit in a fabulous black and white Zero + Maria Cornejo dress. Lots of Glamour events this week including this Live Summit breakfast and another black and white dress winner paired with super cute flats from Gillian Jacobs. Ahna O’Reilly ticks all the pleated skirt boxes paired with a “Future is Female” tee and leather jacket. The perfect balance of casual/dressed up for an event at this time. Janelle Monae is in not one, but two hotly tipped award season movies and I cannot wait to see both Hidden Figures and Moonlight. 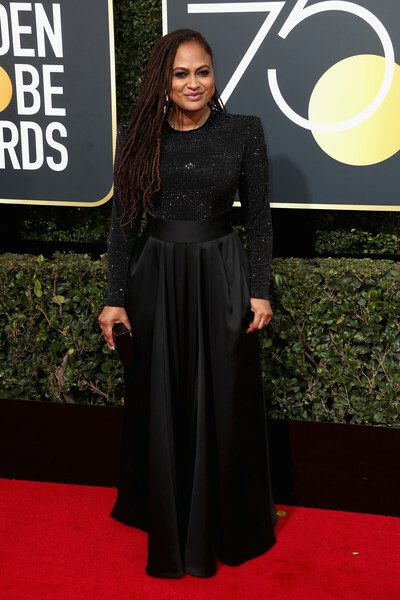 At the Academy of Motion Picture Arts and Sciences’ 8th annual Governors Awards Monae delivered on her usually top notch red carpet attire in Toni Maticevski and I cannot wait to see so much more of her during this very busy award season. Plus, dress pocket points! Also appearing in two contenders this season is Greta Gerwig with Jackie and 20th Century Women. The latter is a spiritual sequel of sorts to Mike Mills’ Beginners and I cannot wait. 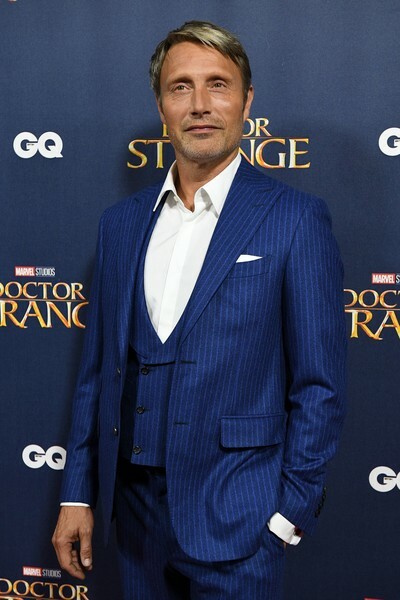 Wearing Emilia Wickstead and looking fantastic at this Academy event and purple doesn’t get utilized enough on the red carpet. Also if that seam is anything to go by then it looks like we have another bonus pockets number. 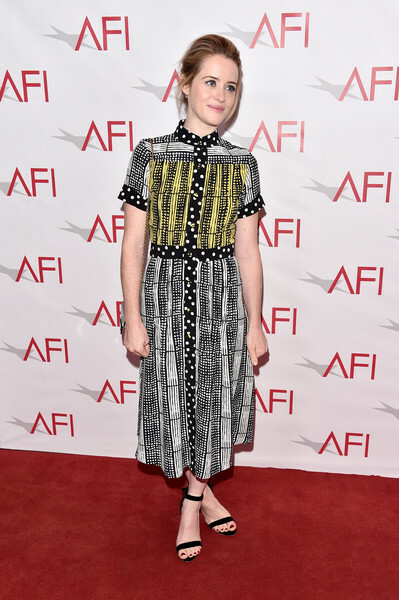 Yeah you guessed it – La La Land is on my highly anticipated list and at the AFI Fest screening Skai Jackson looks super cute in a textured floral Manoush frock and sparkly Jimmy Choo heels. 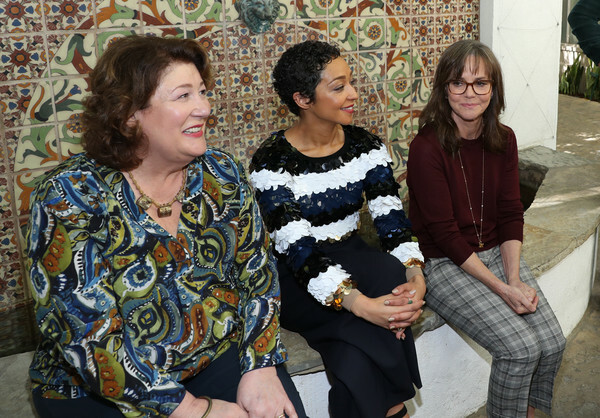 There is something wonderful about this image and all the heart eyes toward Margo Martindale, Ruth Negga (in a sequin stripe delight) and Sally Field at the AFI Fest Indie Contender’s Roundtable. With awards there are roundtables and I couldn’t be happier about these two things right now. 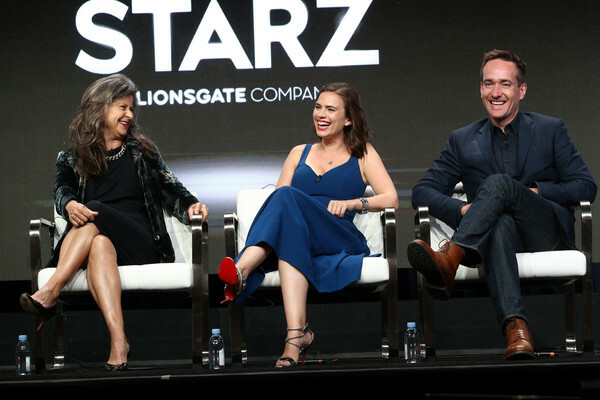 For all things good Margo Martindale stories check out The Americans discussion from a couple of weeks ago. 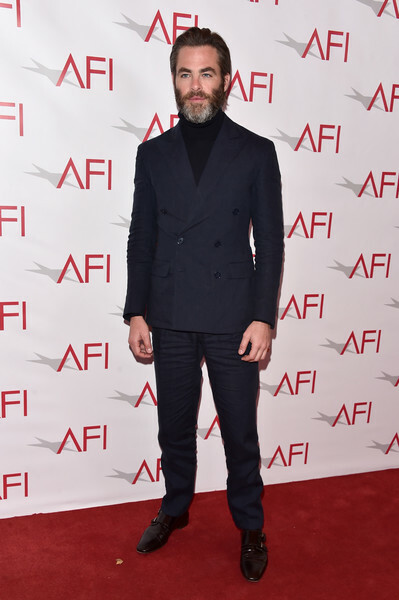 Also from this event is Rebecca Hall in an ensemble that would be ideal for both a day and an evening event and Chris Pine showing why he keeps getting bumped up the Chris List. Great salt and pepper beard game right now. 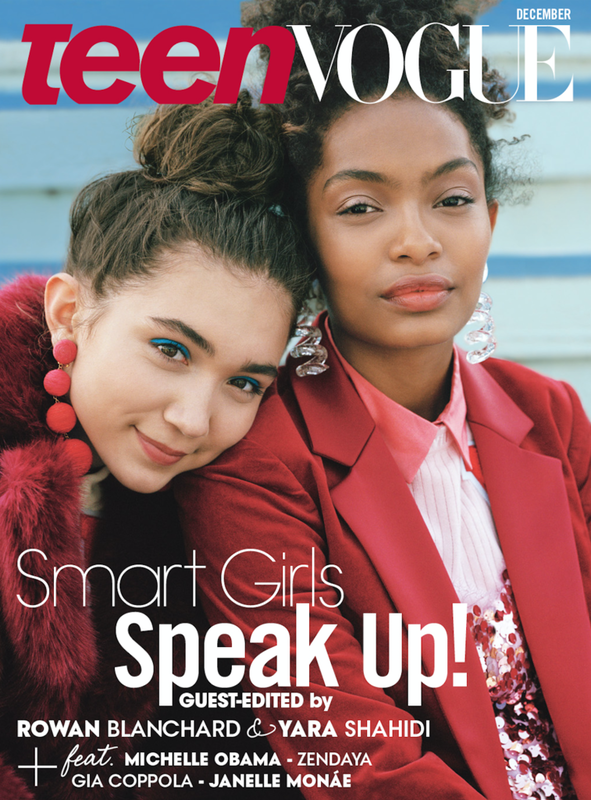 Teen Vogue has consistently delivered on both good covers and good content this year; the December issue is no exception and Yara Shahidi makes her second appearance on this edition “Look of the Week” along with Rowan Blanchard. This magazine and the work it produces is so important right now and it is encouraging that a publication aimed at a younger audience is striving in this way. 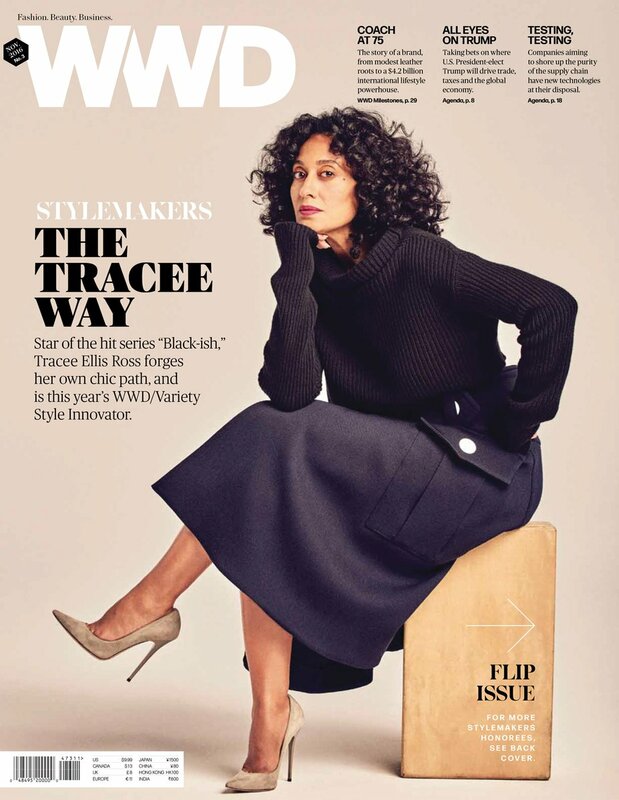 Now for Yara Shahidi’s onscreen mother and Tracee Ellis Ross is crushing it in casual chic on the cover of WWD in a super chunky knit, skirt and heels. 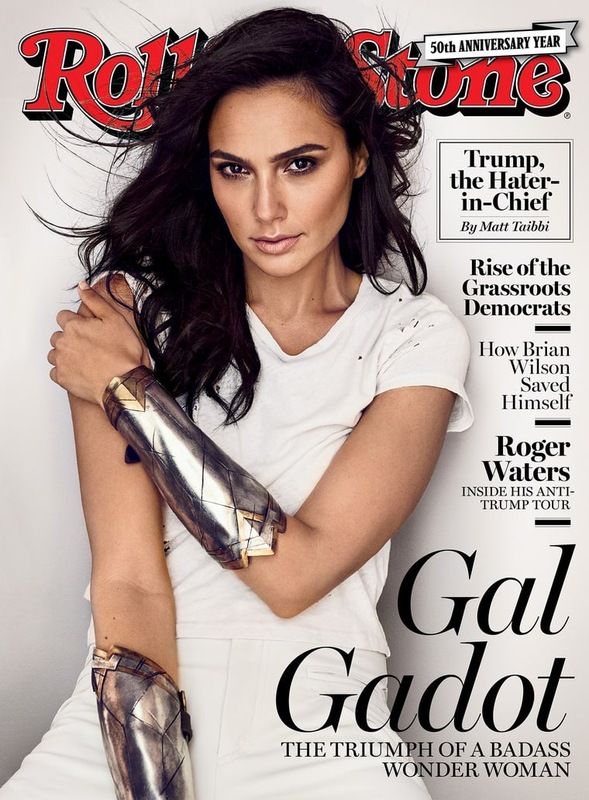 Such a striking and simple image in an outfit that lives up to the Style Innovator title WWD is bestowing on her. 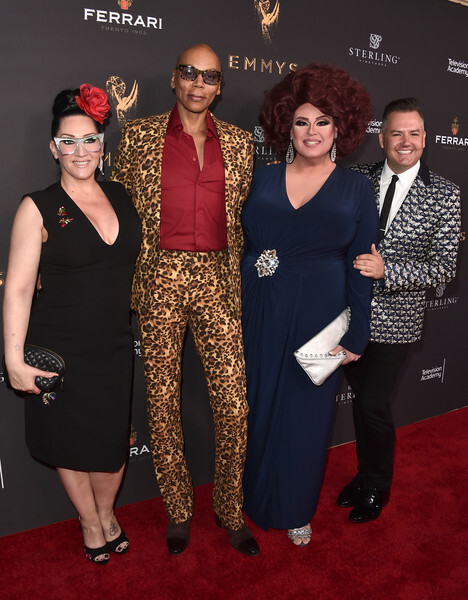 Emmy nominations will be announced tomorrow (Thursday, July 14) and that means it is time to offer up some quick thoughts regarding who I would like to see on the shortlist. 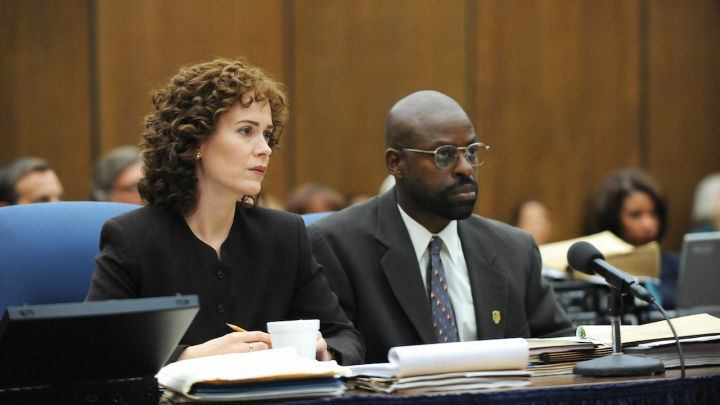 I’ve split my list into drama, mini-series and comedy with some shows getting multiple nomination hopes. These are all actors who have submitted their work for Emmy consideration and some of these are repeats from last year’s wish list. A mix of certain locks, potential first timers and complete outsiders make up these choices and while I am sure there are some amazing performances that are not included below this is the list of actors I have gone for. 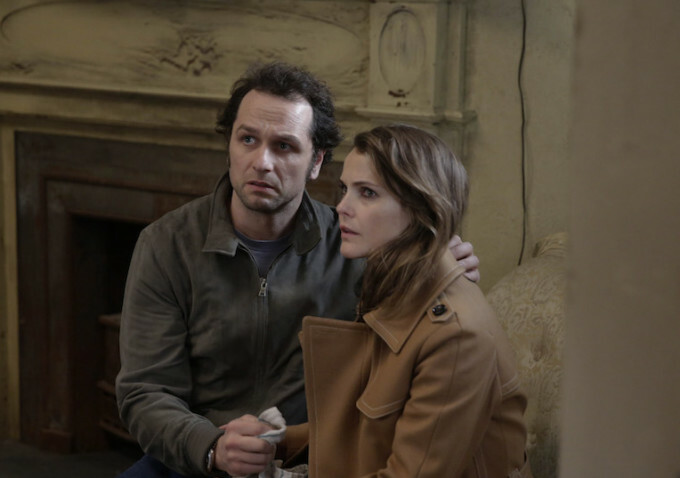 Every year The Americans tops its previous season with Matthew Rhys and Keri Russell taking levels of soul crushing heartache to new heights. 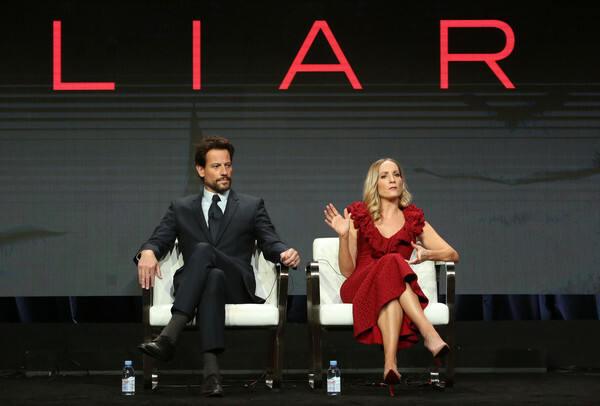 It was hard not to spend half of any review I wrote praising the leads for how much they manage to convey with just a look and the number of ways they manage to devastate, but I get to repeat myself here for those that missed that. 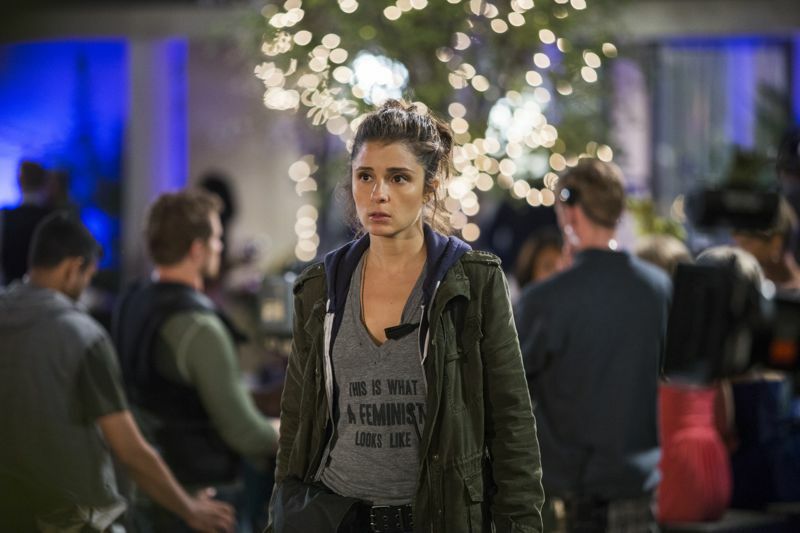 On UnREAL Shiri Appleby as Rachel teeters on the edge of falling apart at every turn; she is fantastic at her job but that means a whole lot of questionable actions and Appleby conveys both the conflict and excitement in the manipulation of the Everlasting contestants that she gets off on. On Fargo this season Peggy Blumquist became a new TV style icon and Kirsten Dunst took a character who could have felt incredibly cartoony and delivered something a lot more nuanced. Wanting something better than the life she has and ending up in a murdery cat and mouse game, Dunst makes Peggy a tragic figure we root for and shake our head at while also giving me a good reason why I have kept so many magazines. 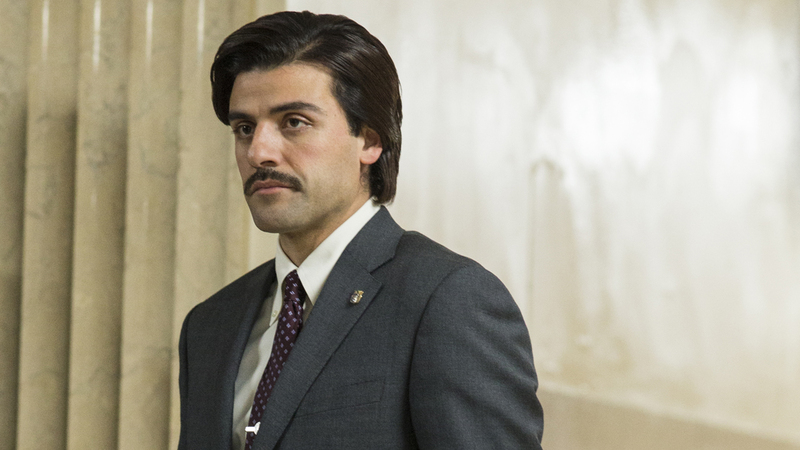 I’m not just picking Oscar Isaac because I want to see him in a tux come September, but because Show Me a Hero is still something that almost a year later feels like a gut punch when I think about it. Isaac also manages to work that mustache and is delightful in the moments where he fixes up the house in dad jeans while listening to Bruce Springsteen. A lot of the performances I have chosen have involved some element of crushing heartbreak and this isn’t just relegated to drama; Aya Cash and You’re the Worst took the comedies that make me cry to new levels this year and this exploration of depression was an unexpected and welcome turn from one of my favorite shows on TV. 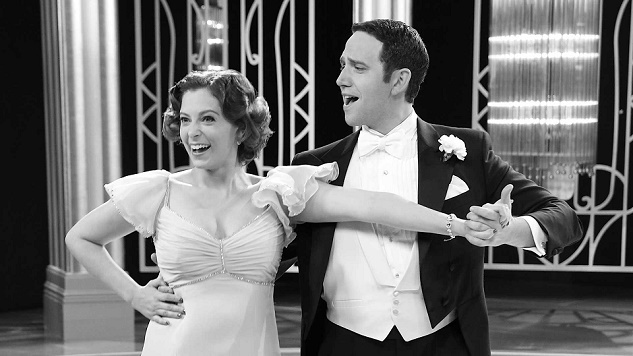 I am late to the Crazy Ex-Girlfriend party having only started (and finished) the show last week and Rachel Bloom is doing such a wide range of things both in front and behind the camera. There are the song performances (and I have a number of these swirling through my head) coupled with the range of emotions from the funny to the agonizing and I think we have found a common theme among my nomination choices. 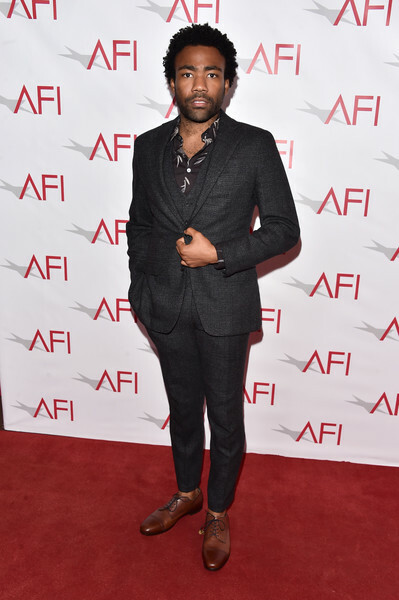 Another creator/star that stands out this year is Aziz Ansari with his Netflix series Master of None and for things that get stuck in my head I have been saying “The Sickening… It’s happening!” a lot this year. Also for getting in my favorite passage from The Bell Jar into the season finale in such an interesting way and gifting us with amazing weekend date ideas, showing the difference between experiences walking home if your are a dude or a woman and highlighting diversity on TV/film issues. 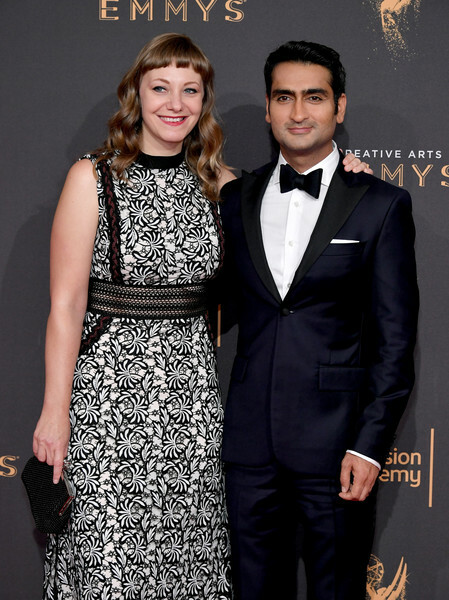 I hope to see multiple nominations for Ansari. Another case of a comedy that makes me cry just as much as it makes me laugh and Gina Rodriguez delivers in both arenas. Season 2 saw Jane juggling motherhood, grad school and so many romantic triangle situations; it is the relationships between the women on Jane the Virgin that really hits my sweet spot and the chemistry Rodriguez has with her co-stars is a huge part of this charm.